I met Des from Edward, a 40-something, former Teddy Boy who was deep ‘in possey’ with Madonna’s baby daddy in London. Somehow, Des was part of the matrix. 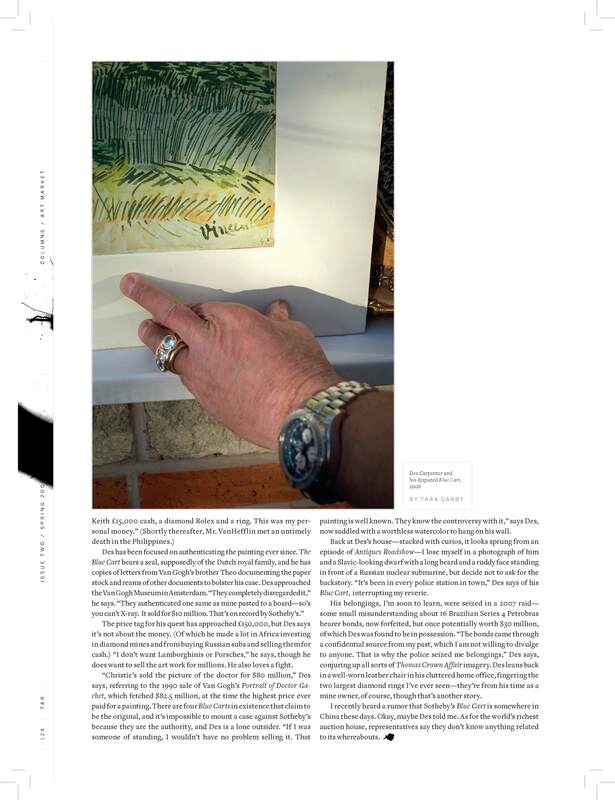 I went to his place a couple years ago and wrote this story for TAR-ART, one of those cool art magazines that you have to sue to get paid. It’s out there. It’s about a scrap man, named Des, an unconventionally lovely man from Doncaster in South Yorkshire. He has a Van Gogh… I think. 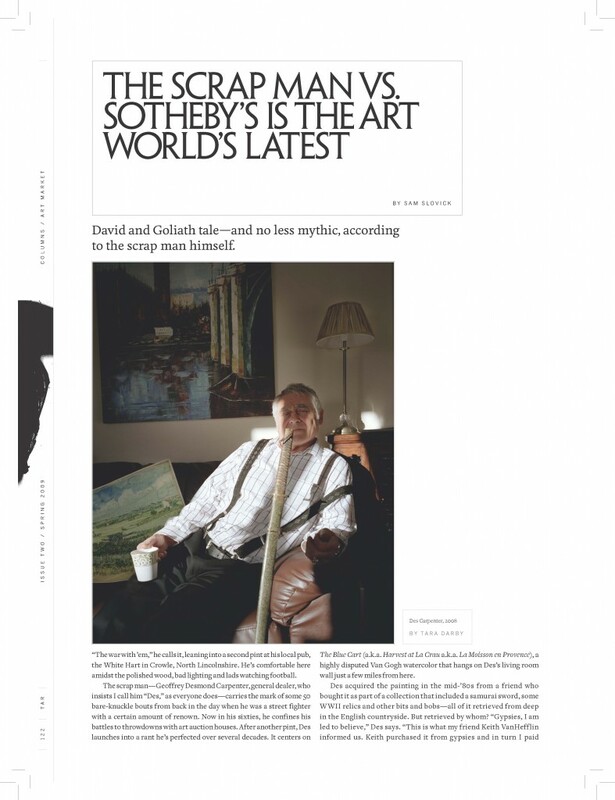 Scrap Man vs. Sotheby’s is a sort of French gypsy / art world mafia /Thomas Crown Affair with Russian submarines and South African diamond mines sort of true story. It summons Orson Wells’, F-for-Fake until you look into the scandelous, sketched-out world of Sotherby’s. Des Carpenter has Van Gogh’s Harvest at La Crau. The other’s are forgeries and it doesn’t take a grifter to see through Sotheby’s artless long con. Is Des flipping us off?